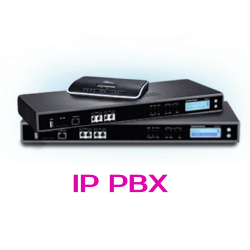 For all the small to medium businesses, Grandstream has always been providing high quality and efficiently performing IP PBX appliances that have always performed as per the expectation of the customers and thus, Grandstream has always managed to satisfy the users and gain a good feedback. 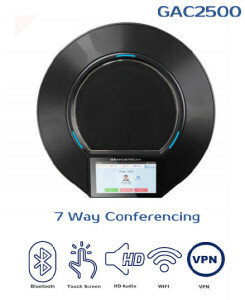 Incorporating all the industry- leading features, Grandstream has launched its new model in the UCM 6500 series, Grandstream UCM 6510.The UCM6510 is an IP PBX appliance for E1/T1/J1 networks that brings easy-to-manage and customizable Unified Communications and security protection to enterprises, small and medium businesses retail environments.Powered by an advanced hardware platform and software functionalities, the UCM6510 supports up to 2000 users and offers a turnkey solution for converged voice, video, data, fax, security surveillance, and mobility applications without any extra license fees or recurring costs. The UCM6510 offers a set of comprehensive features, including customizable call-routing, multi-level IVRs, call queues, auto-attendant, call detail records (CDR), multi-site peering, SIP video support, voicemail/fax forwarding to email and more. The secure and reliable UCM6510 delivers leading edge unified communication features at an unprecedented price point without any licensing fees, costs-per-feature, or recurring fees. Below mentioned are some of the salient features of Grandstream UCM 6510 IP PBX telephone system. Grandstream UCM 6510 operates the advanced Asterisk version where it doesn’t require any additional costs according to the features or any other licensing or software fee for providing the users with a next-generation video, voice, data and mobility features. Grandstream UCM 6510 has the capability to support a maximum of 2000 years and in this respect it surpasses the limit of Grandstream UCM 6110 which was 500. Conference participants- a maximum of 64. To easily deploy the appliance, Grandstream UCM 6510 provides provisioning and the automated detection of video and IP phones, gateways, SIP cameras, ATAs and many other SIP endpoints. The auto discovery and zero configuration feature of the phone system allow its setup to be completed efficiently and easily within the web user interface of the product. Grandstream UCM 6510 can provide you with dual gigabit network ports with a built-in power over Ethernet source. There are redundant power supply and a carrier grade echo cancellation. You will get comprehensive security features with your Grandstream UCM 6510 IP PBX appliance with the help of TLS, SRTP and HTTPS along with an accelerator for hardware encryption. Grandstream Dubai is the authorized reseller of Grandstream in the entire Dubai area and also in the other areas of U.A.E like Ras Al Khaimah, Al Ain, Ajman, Umm Al Quwain, Abu Dhabi and Sharjah. 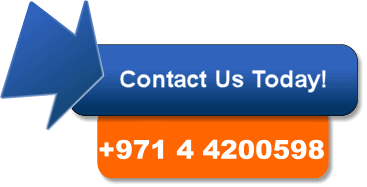 You can easily get your Grandstream UCM 6510 IP PBX Dubai appliance from any authorized store of Grandstream Dubai. The telecom industry knows Grandstream as the manufacturer of telecommunication solutions and products by implying an innovative and thorough technology. The updated features and applications in each phone system of Grandstream allow the people to enjoy the most out of the technology. The high quality and efficient performance has always earned Grandstream the position at the top of the telecom industry. It is the top- notch quality of Grandstream that earned it the ISO 9001 certification. 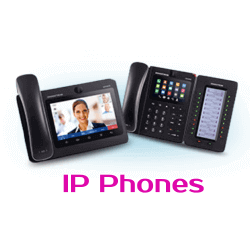 Grandstream provides you with a huge variety and a wide range of different IP and VOIP products that have been empowering the businesses in almost 150 countries from around the world. This standard never seems to come down as Grandstream is striving hard to continue bringing betterments in their services and products. Grandstream was inaugurated in 2002 and since then, it has always given the users award winning technological appliances. Users have always experienced a next level audio and video quality with the exclusive Grandstream products and solutions. Grandstream showed an award-winning performance and is now known in the entire industry for its innovations.